In a more open approach than most franchised esports leagues, the draft process for the NBA 2K League was open to any and all challengers who met a small set of requirements. Win 50 games in January’s online qualifiers, and you move on to phase 2: the combine. That combine then whittled 72,000 applicants down to 250 finalists, and the 250 players who played at the combine will be narrowed down to 102 draftees. Those cutdowns, maybe unsurprisingly, have been rocky and fraught with accusations of rigging and favoritism. Stats were tracked, and eventually, emails were sent out to the 250 lucky few. As the invitations went out—or didn’t—the conspiracy mill began spinning, led by 2K player White Chocolate. He’s produced a number of tremendous videos claiming the combine was rigged, alongside some Illuminati imagery and a dark melodramatic tone. At the heart of all this breathless investigation are some leaked DMs between a player and the Cleveland Cavaliers’ director of gaming operations, Anthony Muraco. The player, Stylez, hadn’t received an email by the time it was announced that all emails had been sent out, but the DMs show Muraco assuring Stylez that he’d make the cut. Later, Stylez did make the cut, well after all of the invites had supposedly gone out. Teams have absolutely no input on which players made the Top 250. The comprehensive process was led strictly by officials from 2K, the NBA 2K League, and included Genji Esports, a third-party analytics firm. The players were selected based on a range of factors, including performance from the combine and an online application detailing their knowledge of the game of basketball – for example, running a zone defense and executing a pick-and-roll – as well as their understanding of the NBA 2K video game and reasons for why they want to play in the league. Players were notified via email of their selection between Feb. 28 and March 2. After the final emails were sent on March 2, two players never received their emails, including Stylez, due to issues with their email addresses. These two email addresses were corrected and the emails were resent to both candidates at approximately 4 p.m.
Brendan Donahue, essentially the commissioner of the NBA 2K League, eventually took to Twitter to deny the conspiracy theories claiming that the cutdowns were somehow rigged, citing advanced statistics that went into player selection and posting texts that he claims exonerate the Cavs. In addition to questionable claims that the combine and draft selections processes were rigged, there have also also been more legitimate qualms with one player in the final 250 not meeting the league’s age requirements. Vandy, a young 2K player who received an invite, met the 18-year-old requirement for eligibility, but some claimed he was ineligible because a few tweets indicated he is still attending high school. The tweets in question are not on Vandy’s timeline anymore, though White Chocolate has alleged caps of them in another video of his. Vandy did respond to some questioning later, saying he will be graduating early. The league office told Compete that “All offers will be contingent on the player successfully completing a background check and meeting all other league eligibility requirements. The final 102 players who meet these requirements and accept their offer will be entered into the NBA 2K League Draft pool and will be drafted by one of the league’s 17 teams on draft day.” In other words, they didn’t do that for the initial 250 players, but will for the last 102. The combine has been opaque; most announcements about the selection process have been on different teams’ managers’ Twitter accounts; even for a professional journalist, the league has been very difficult to track. 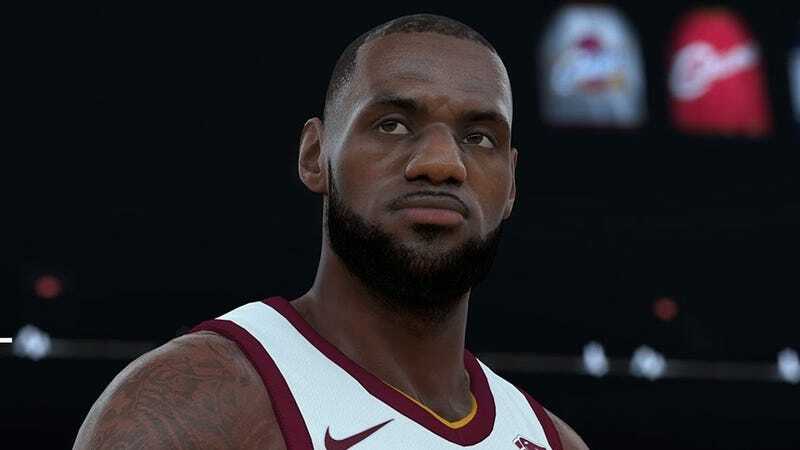 Any attempt to objectively select the best gamers for a limited number of paid slots will inherently be rife with complaints about fairness and transparency, but the 2K League hasn’t helped itself in the process.